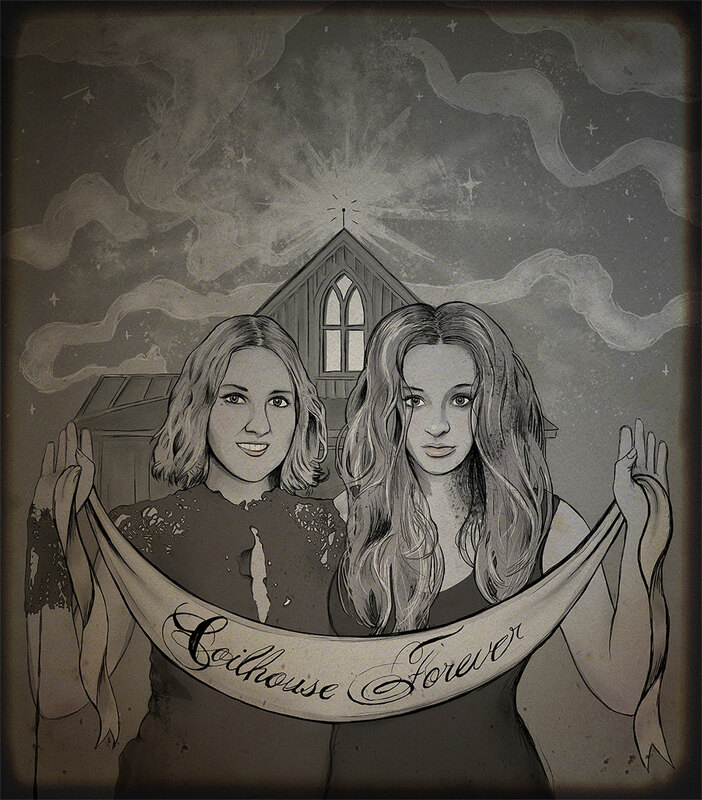 Coilhouse is a love letter to alternative culture in blog and magazine form. 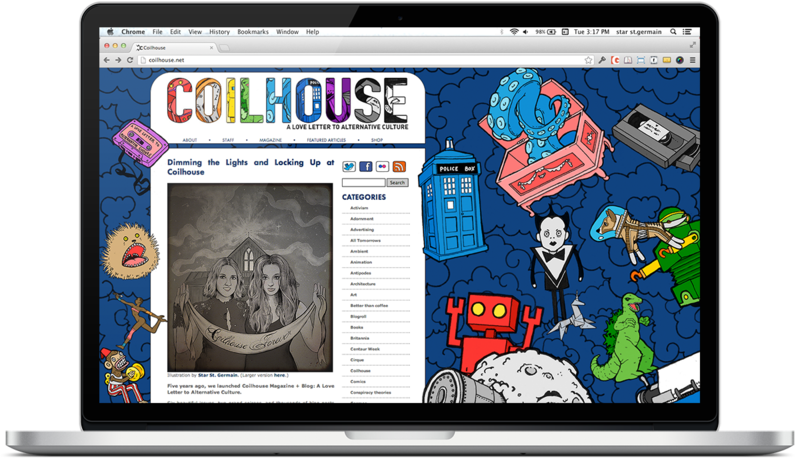 For their 2.0 redesign, which marked both the site's five-year anniversary and hiatus announcement, Coilhouse went with a bright explosion of parallax scrolling images. In addition to design and development, I created a portrait of the magazine's co-editors for the last blog post before their hiatus.